4. Colors – [Linear Gradients/Radial Gradients]. 6. 2D and 3D Transforms. 7. Animations and many more. Out of these features, in this article, we will look at 3D transform with jQuery animation. Let’s start by creating an empty web application using Visual Studio with the name “QuarterSalesDetails”. For this demonstration, I am using Visual Studio 2013 although you can use a previous edition of Visual Studio too. 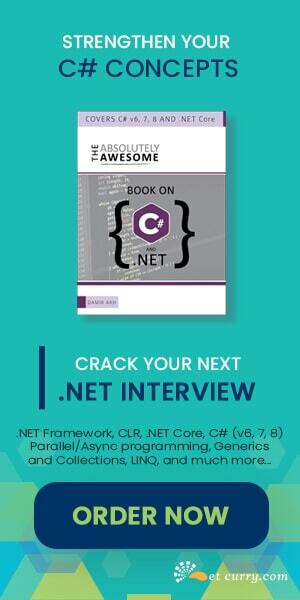 Once you click on the OK button, you will see a New ASP.NET Project dialog box where you can choose your own web template based on your develop environment and requirements in your organization. The dialog box is shown below. Please make a choice of Web Forms for this demonstration. 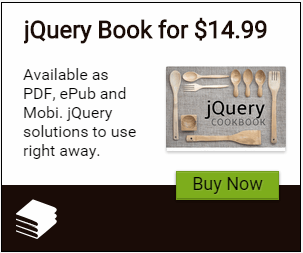 Install jQuery. This will create a Scripts folder in your project and add the needed jQuery files. Once you are done with the jQuery installation, we will now add a HTML page in our project with the name “QuarterSales”. In the above CSS, we are using CSS3 Transform with perspective set to 600 pixel and rotate Y to 0 and 180 degree to back and front CSS class. We are also using border radius and transition of CSS3. In the above web service, the web method GetQuarterSales takes a string parameter quarter and returns the collection of QuarterSalesClass with the year, monthname and monthsales. We will be using this web service method to fetch the quarter sales details using jQuery AJAX as per the user’s quarter selection. In our jQuery code, we are selecting the table row. Then from the row, we are finding the value of the cell which contains the Quarter detail using a CSS class selector ‘Q’. After this, we are using an animate method of the jQuery to flip the div tags. Then we are calling a Web Service Method using $.ajax() method of jQuery. In the ajax() method, we are passing the quarter parameter value and fetching the details of the three months sales of that quarter. And that’s it. We have seen how to use CSS3 3D transform with jQuery animate method. Really great job! Thanks for posting!